Our approach is very personal and customized. 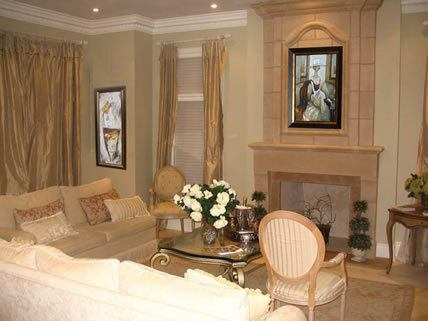 Our mission is to help you find paintings you love. We take the time to find out what artwork you are drawn to and educate you about many talented artists we represent, their techniques and their inspirations. Offering complimentary in-home consultations for unique spaces or larger private collections. Arranging for delivery, installation and International shipping when necessary. We want collectors to walk out of the gallery more inspired to enrich their surroundings with beauty and vitality. The gallery is located in the Home & Design Center which has plenty of parking available. Private appointments can also be arranged.